The inspiration for this project came from us always having trouble planning small, impromprtu events. 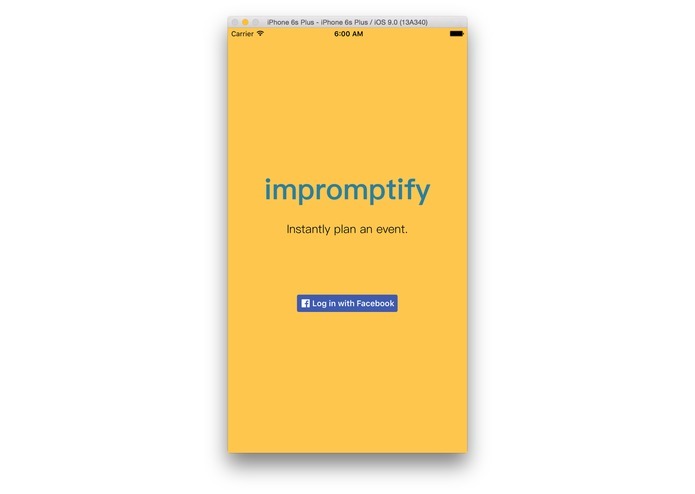 We wanted a quick and easy way for event planning on the fly among friends. 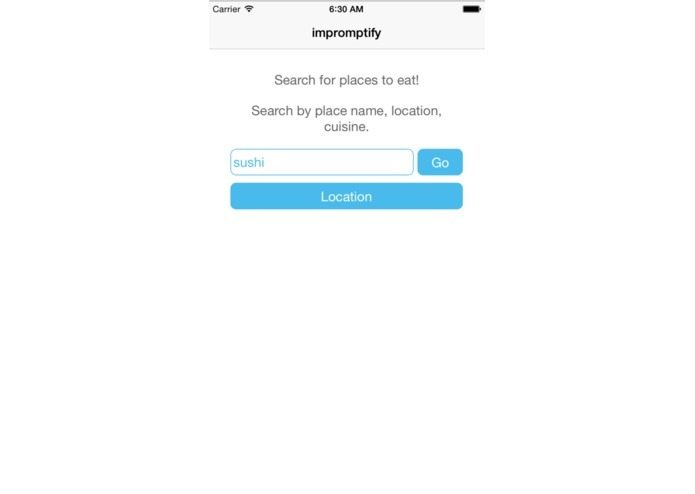 Allow us to search anything (restaurant, movie, bowling) near us using yelp's search API and then with the selection of a place, it allows us to quickly create an event and share with friends. We built the app using React Native on for iOS. The back-end is a node.js app with mongo as the database. Making the application extremely trivial to use was tough. We wanted to minimize the number of pages and clicks it would take to get from opening the app all the way to creating an event and sharing it. We accomplished this in 3 pages. 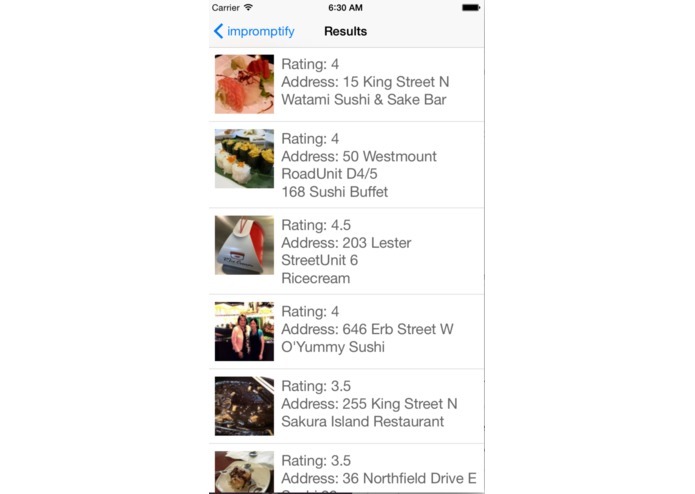 Getting the Yelp API to interface properly with the React Native app. 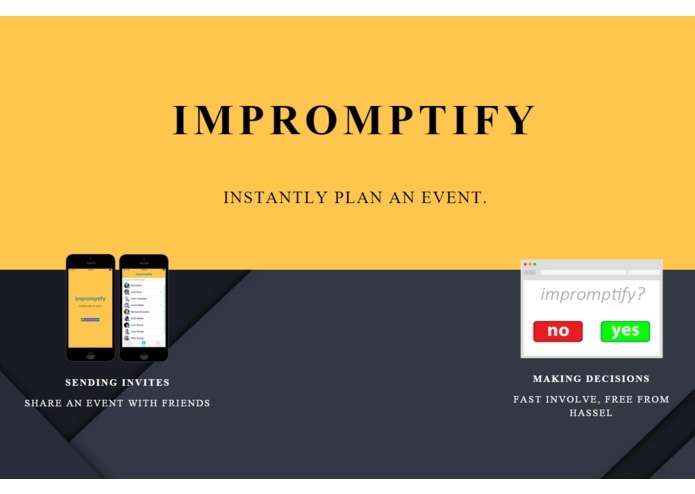 This app is based around the idea that people need a simple and easy way to plan impromptu events. It is meant to be a simple, clean, secure way of event planning. The user experience is supposed to be dead simple—you open the app, it asks you where and when you want to meet up (using the Yelp API to retrieve restaurants or parks near you), and who you want to invite. The invitees would then receive an email with a giant “yes” or “no” button that they can click on to RSVP to the event. Right before the event, all parties that said yes to the event will get a reminder email, and then it will disappear forever. The application is meant to be the Snapchat of event planning, where nothing is logged, making it useful for all kinds of small impromptu events. I worked on the backend webservices using node, express, mongo. I worked on the mobile application using React Native and the Redux framework.